October 5, 2015 - by benign0 - 45 Comments. ‘Sacrifice’. Just like all other noble concepts, this is a word Filipinos have all but perverted and put into the service of their dysfunctional politics. If we are to believe Liberal Party presidential candidate Mar Roxas, the most important thing a candidate for the top leadership positions in the country brings to the table is “sacrifice”. The late former President Cory Aquino’s “sacrifice” of being “just an ordinary housewife” who heeded the call to “serve” the nation as its first “revolutionary” president is pitched to Filipinos as her single biggest “achievement”. Roxas himself “sacrificed” his bid for the presidency in 2009 to make way for the candidacy of current President Benigno Simeon ‘BS’ Aquino III. And, yes, BS Aquino himself “sacrificed” the same way his mother did as the “reluctant” presidential candidate who needed to go on a retreat to reflect on his own call to “serve” as the Philippines’ president. So what if you are Jesse Robredo’s widow? Nowhere in the whole moronic debate that surrounds the question of who is most qualified to be president of the Philippines is there any attention put into whether these bozos can actually solve problems. The Philippines, in case Filipino voters have forgotten, has lots of problems. As such, Filipinos need problem solvers. Are these presidential and vice presidential candidates problem solvers? So, yeah, Roxas would indeed need a solid running mate with that all-important “sacrifice” credential to save his sad political career, what with that fail-to-end-all-fails in 2013 and his string of gaffes and lame PR stunts that colour his record. Unfortunately for Filipinos, their society remains addicted to the idea that having “sacrificed” a lot necessarily makes one qualified to be a Vice President (or, worse, the president). And to that moronic notion Leni Robredo stepped up. A round of applause, plez. Previous Article Should Filipinos Go Back to Pursuing Excellence in English? My thoughts exactly when I saw the news about it yesterday. Of course people will fall for it, they love their “soap” so much, they want to see the same drama in politics too. And kudos to ABiaS CBN for that wonderful coverage of the poor lady. They showed her visiting townsfolk and her husbands grave in tsinelas too, apparently the same way the latter husband did and of course a scene of her being “blessed” by a priest. I’m sorry he died, but the way LP exploits it is sickening. Uhmmm… excuse me… I think you should have used “SOME FILIPINOS” or “ALMOST ALL” may also be acceptable…. But generalizing every “Filipinos” I don’t think I can agree to that. If it’s the case, Aquino’s and Robredo’s victory should have been a landslide… Although it is true that we believe in Miracles and Faith is the foundation of our Christianity and belief, I strongly believe that FAITH without ACTION is dead! We don’t just Pray and wait… Although it is true for some but most of us works our asses out to get what we desire… and to achieve our goals…. I would like them to learn the concept of sacrifice like how the Aztecs did it. We should sacrifice them that way. Hehehe…. The Aztec way… that is a little extreme. Ripping their beating heart out? I wanted to excuse myself also, but threw up right before I could even mutter the words. In all politics there will always be actors who can speak the speak, and lie the lies. They have a great way to say what the people want to hear, and play the game, until elected, when the joke is on who that voted for them. Politics has been, and always will be played on smear and dirty tricks, and any angle that gives an edge is an angle worth dieing for. The media also play their part in reporting exactly what all the players want them to report. If you are looking for a good politician, with honesty, integrity and you can respect. Wait till Christmas, as Santa will be coming, and you have as much chance of Santa being real, as you do of getting anything good out of politicians. The question of belief, prayer and blessing, I already covered in another message today. Suffice to say that religion has been a big business fleecing the multitudes for years. There is a place for belief, but it is not in religion or politics of today. What the Philippines really needs, is to look around and unite in finding one person in the world who believes in the people, and a good future, and has a solid plan to get what needs to be done completed. Many tasks need a great leader, not an actor. -an act of giving up something valued for the sake of something else regarded as more important or worthy. So… The giving up of something for the sake of something else? What is this something else? Well, certainly not the country or its people. Sacrifice has long been a very vague word in the Philippines. I guess it harkens such negative emotions that people refer to “sacrifice” as an act and not applying some logic regarding the usage of the word by its meaning in context. Filipinos love drama! Let’s see if “Jesse’s” sacrifice will finally catapult Roxas desperately needed ratings to atmospheric heights. Looks like we’ll be under de saya of two “grace”fully “leni”ent ladies for the next 12 years. Where is the “righteous incorruptible strongman who will rule with an iron fist to bring back common sense and discipline into the lethargic zombies that fill the land”? !!! And that’s dangerous if Grace Poe & Leni Robredo will become our country’s next president & VP. They’re both neophytes and not much experience on political life. Better to vote Duterte-Cayetano ’cause they do know on what the REAL sacrifice means by looking at their political experiences and also take not on those people who oppose these 2 guys, they’re the DARK HORSES on next year’s presidential election and this is the reason why Duterte is still mum on his decision to run on the president while Mr. Cayetano had declare himself to run for VP… in Duterte’s city. So are they’re really messing up their opponents like Binay, Poe and Mar? Who knows, it might be their true tactics. So which one will you choose on 2016 election? A weak but popular lambs or unpopular but a strong horses? Will you ride an airplane if you found out the pilot is just a fresh highschool graduate and the copilot is an elementary school student? Ok Pinas just keep on experimenting every possible combination – maybe after a hundred years youll reslize that its actually so simple – you only need to use COMMON SENSE!!! Sacrifice is an “overused” term to feed up the addictions of Filipinos , for heroes (real or imagined). As in the belief of Christians. Jesus Christ sacrificed, himself , for the sins of mankind. 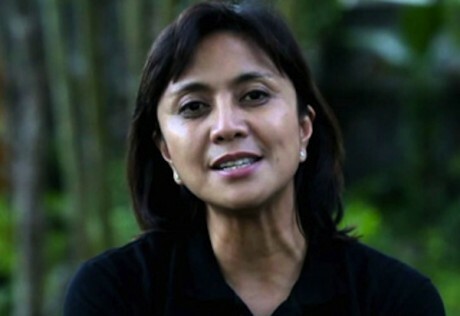 I see no Jesus Christ , in the unqualified widow: Mrs. Robredo. Neither, on Mar Roxas, who had bungled his job. I did not see any good accomplishments, of her late husband, Sec. Robredo. What I saw was: he was the “carabao” of the lazy Aquino. We need people, who have visions for the country. Plans to improve the lives of our people. We need people, who have solutions, to our pressing problems. People, who can repair this “dysfunctional” , system of government. People who can inspire; and can lead the Filipinos, to their own “Promised Land”. And who are these people your looking for .. An almost perfect individual . Do they exist at all in the Philippines?? ?Then you will be looking for ever. This kind of person are made by the people And This people are You … Filipinos demand them what you want … Do not wait for them, they will never come…. You the people are the one will make them perfect… Take action… Or they will never come.. They are there..only , look closely for the qualifications; experience; track records; education; political ideology; etc… I stated a few items, of how to find them….if you will not try to find find them; they will never be there. Any country in times of crisis; a good man came out. In Britain, during World War II, a Winston Churchill came. In the U.S., a Franklin D. Roosevelt came. In the U.S. Civil War, an Abraham Lincoln came. . .In India’s fight for independence, a Mahatma Gandhi came. In South Africa’s fight for Apartheid; a Nelson Mandela came. In the U.S. civil rights struggle; a Martin Luther King , Jr., came. In the Israelite fight for freedom, from slavery in Egypt, a Moses came. Discerning is one thing. But this nation isn’t like the ones you mentioned. Not like the United States where despite its 400 years of existence as a nation, it prided itself in creating founding fathers who would value creating progress through inspiration and making changes that would make future generations brave and bold enough to shift an uncertain future to make things right. When you have a government that doesn’t value the ingenuity of youth over failed traditions and a culture of excuses, you will always get what we have now. A 2016 candidacy full of people from the Peanut Gallery and ran by the Circus. Of course if that is the case, I’d rather choose myself to be President of the Philippines then. It’s funny how reality imitates fiction. And considering Filipinos, their perception of their life being a telenovela, they are unwittingly making politics work the same way as well. You can teach people. They can learn. Let the “Bayanihan Spirit” of Filipinos, come out; the good spirit, that is still, on the psyche/subconscious of Filipinos .Everybody must pitch in to teach everybody to discern. ..
Demand more decent paying jobs for the people . i liked what the mom said when she was interviewed…leni robredo was “pressured” into accepting the VP slot…can she not see that she is being used? she was picked not because of her but because of her husband..her husband who was not even welcome to be part of the cabinet..who was never approved by the CA…ganito na talaga ang labanan sa pulitika sa pilipinas..gamitan ng mga patay…i think jesse is turning in his grave right now.. The Filipinos really love to use some words in the wrong context and perverse it. In this regard it’s the word “sacrifice”. PH election has always been a free magic show, full of theatrics and illusions. In which the ignoramuses enjoy every 3 years. hey. Apparently these masses chose those terms in the 1987 Constitution. 6 years of stability and long enough to keep those clowns in the senate and the extended departments to milk the common people. Hell even the common people knew they were getting milked but never had guts to admit it. Until PGMA showed up with the “Hello Garci” scandal which these fine folks in outrage admit that their “money” was stolen. I beg to disagree that the “common” people knew they were being milked back then. They agreed to the terms of 1987 Constitution because they wanted Marcos ousted and be “liberated” from this tyranny. In the Filipinos’ mind, the Marcos’ are the country’s enemy and no one else. They didn’t knew they were already being duped again by these so-called “good” politicians that started the revolution. The 1987 Constitution was constructed only in reaction to Marcos’ regime and that’s why it has too many flaws. “Hello Garci” wasn’t the start of these outrage, it started with Erap’s charges of corruption and impeachment. The “Hello Garci” was the event that further intensified the outrages of the Filipinos against these corrupt officials. The common people wanted a change in the country’s leadership in 1987 and they got it. How good they got it is a matter of opinion. The question of how good or bad the Philippines is today–compared to when Marcos was in power–should be based on the quality of life for the average Filipino, not on the beliefs and opinions of politicians and businessesmen who are in constant “Tug-Of-War” for the country’s wealth and power. The worst candidate is the: mentally retarded; suffering from paranoia and depression. Who is too rich to accomplish anything , for himself/herself and his/her fellowmen. Just come out clean and stop wasting your time writing these so-called “analysis” of current events. Just state the obvious intent of this website: VOTE MARCOS! After all is said and done, this finally is the solution to our problems. Getting Real is about getting Marcos back in power and airbrushing history in favor of Marcos. I dunno with you, but I’m sick of living under the shadow of the reluctant housewife. I want to see Hda. Luisita distributed to the farmers, I’d like to see Ninoy Aquino’s killers brought to justice. We’re getting nowhere fast with the ruling party. hahacienda, people like you use idiocy as a means of expression. The fact that pinoys can pervert a concept as noble as “sacrifice” just goes to show that Filipinos are PERVERTS of the highest order. The Filipinos sure pride themselves as the sole Catholic Representative nation in Asia (just outnumbering the growing faithful in South Korea as well). But they have no humility to show for it. They have been perverting noble concepts even with their most holy of beliefs. Let’s face it. These perverts have perfected the formula for getting to the top post in the land. Using the “appeal to sympathy ” technique, they have now mastered the method by which they woo the masses to blindly vote for them even with no credentials to offer. Here’s the recipe to getting to higher office. A tested and proven short-cut to landslide victory. Don’t fall for it guys. just press the reset button. Hopefully this nightmare will all go away. You all know who the Reset Button is. Ayaw tumakbo ni Digong. Huwag niyo nang pilitin kung ayaw. read my other reply @Gagong Lipunan on this blog about Duterte and even Cayetano. Where? I’m a bit lazy to search right now. * try to look like a beloved personality. – this one work so well with GMA when she first ran, looking like Nora Aunor. Of course, this is not a 100% sure formula. Just ask Cesar Montano when he tried to associate himself with Jose Rizal. I am from her district and ehat she did during her 3 year term in office was to rehabilitate aundamaged roads. She did not fund the volunteer teachers program which displaced thundreds of volunteer trachers thus creating aa diminished workforce for deped starting november this year. She introduced an elibrary project which requires schools to first set up aan air conditioned building/room that would accomodate the computers. Where would the schools get funding for building these rooms? I wonder what her advisers are doing. Another thing, during the 2013 election, filed an election offense case on the wrong forum. She filed it before the prosecutor’s office when the case was suppose to be filed before the comelec. She was criticized forthis mistake and yet she was a lawyer. I agree with this article.. I am also a bit disappointed to Leni, but this could be because of the great pressure that LP is giving her. I love her but I do not think I would vote for her. Leni Robredo will make a great puppet and if not? Leni Robrado will end up at the bottom of the Mindanao Sea if she gets out of line. Bet on that.